In my last post I took a stroll down craftmaster memory lane and shared some snaps from the July Sunday Crafternoon at Modern Mouse. 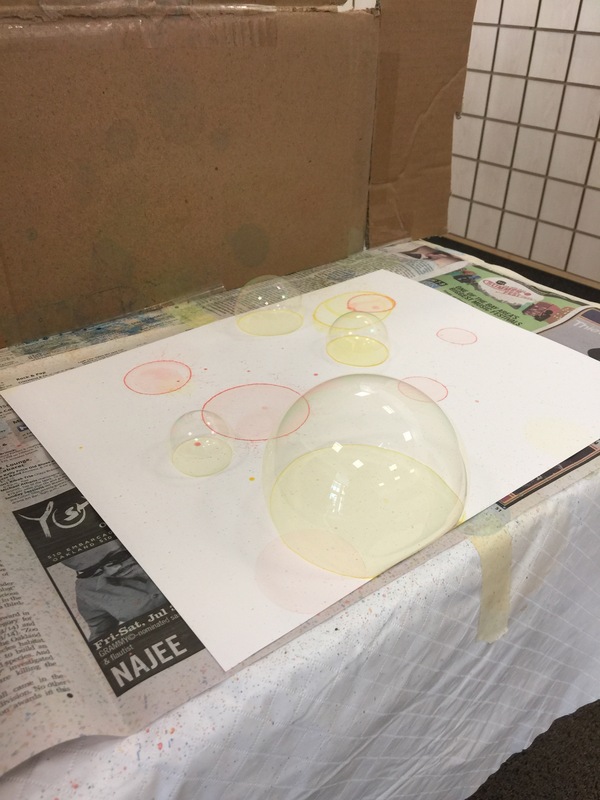 Now let’s take a look at August’s event: Bubble Art! 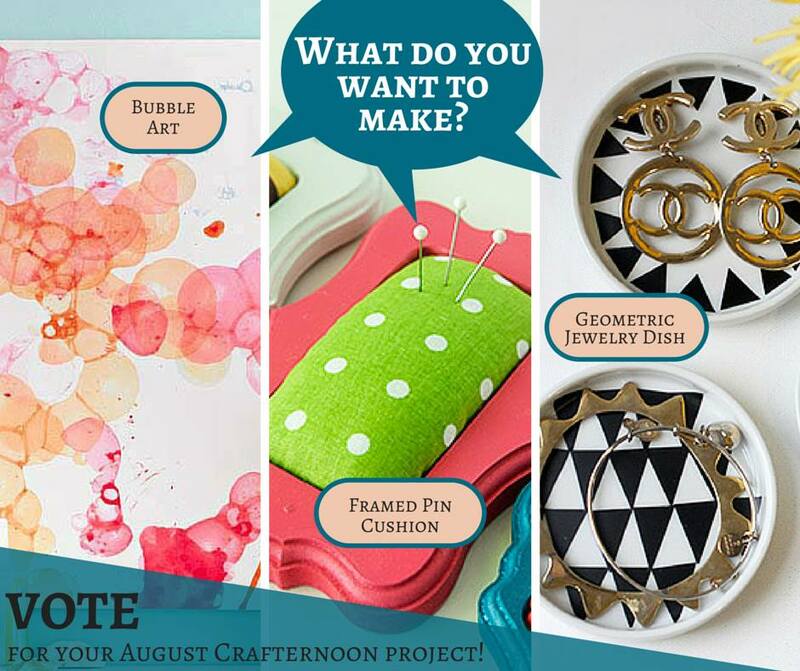 As usual, fans got to vote for their favorite DIY. It was between bubble art, framed pin cushions, and jewelry dishes. 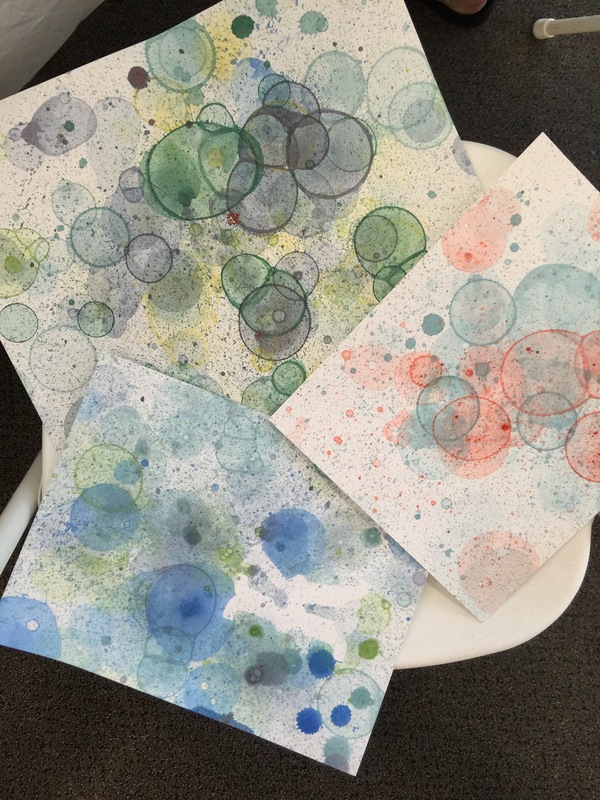 Watercolor bubbles won! 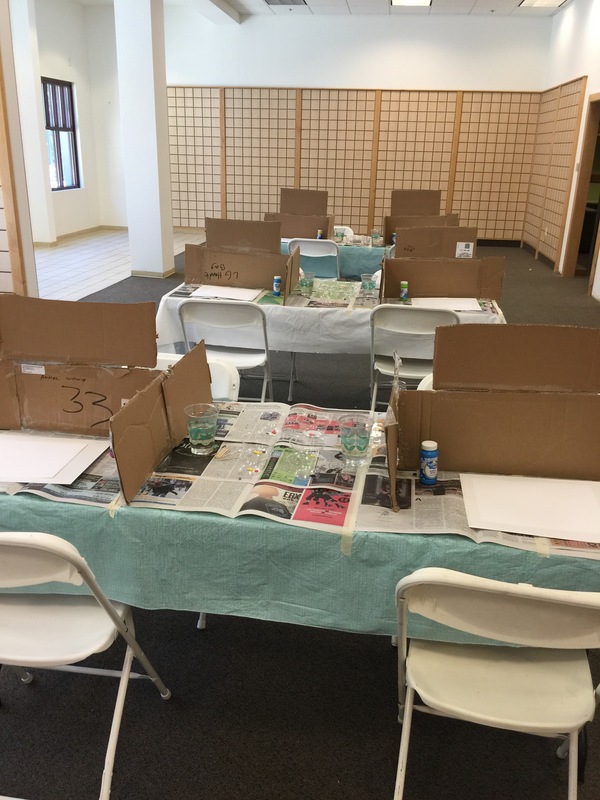 We set everyone up in “testing” stations so that bubbles wouldn’t float from one art piece to the other. 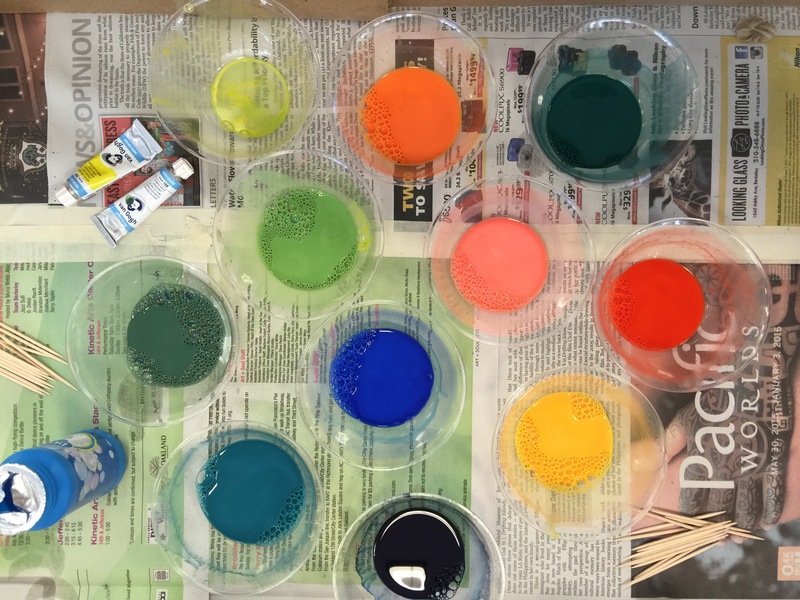 I had blue, red, yellow and white paint and crafters got to mixing! Look at all these vibrant colors. Pop the bubbles when they are floating and get splatter. Let the bubbles sit and get circles. The longer the bubbles sit, the darker the color. Here is some work from our awesome artists! Halfway through we got extra fancy and started using stencils. I made this piece for Modern Mouse! I might be a wee bit obsessed with bubble art now. And that’s a wrap with our guest Craftmaster duties. 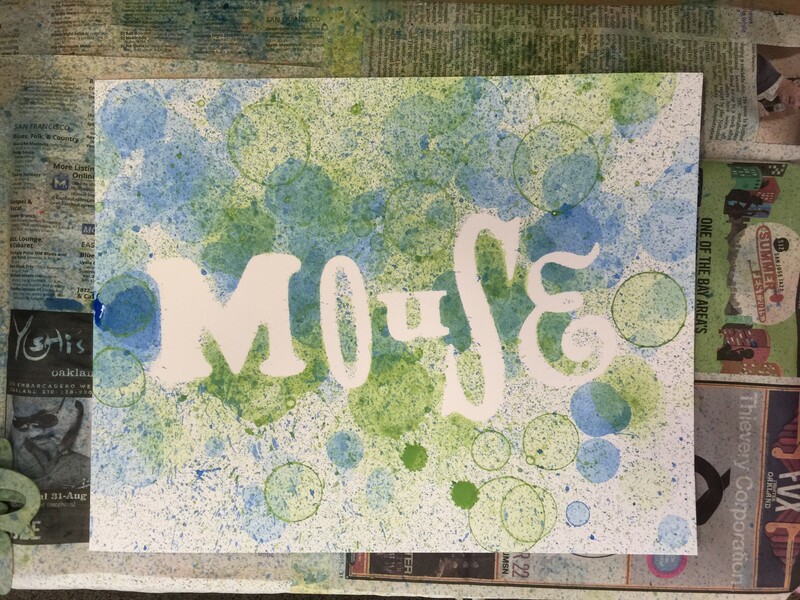 Next month, Resident Craftmaster Niki Baker of Foreignspell is back at the Mouse!